I expected to enjoy this book, but it is always so satisfying when that comes to pass. 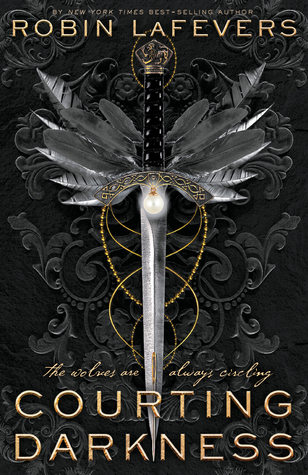 Leigh Bardugo has written a wonderful. thrilling story, with strong friendships, fierce girls, and high stakes. I don't know much about the DC Icons, or Wonder Woman, but I really loved this story. Before she became Wonder Woman, she was Diana, princess of the Amazons. Diana has always been different compared to her Amazonian sisters, because of her origin. She was born of the island, whereas all of the other women came to the island as warriors. Diana has always wanted to leave the island, or at the very least, prove herself to her sisters in arms. When a ship wrecks at the coast, Diana knows better than to save humans and bring them to the island - but she tries anyway. A girl, Alia Keralis, is the only survivor. Diana learns from the island's oracle that Alia is the Warbringer, a harbinger of death and war, descended from Helen of Troy. Diana must bring Alia to the resting place of Helen, in Greece, or war will consume the World of Man, and Themyscira too. This story starts at a quick pace and never lets up. Within the first chapter, the conflict begins, with the shipwreck and Diana saving Alia. Alia is of the modern world, and she thinks Diana is part of a cult on a very strange but very beautiful island. When Diana takes Alia away from the island, they end up in New York, which is Alia's home. From there, the real battle begins, as there are many who want to kill the Warbringer. I love the pacing of this story - there was never a dull moment, but it wasn't too fast either. The story is told in third person, but not entirely from Diana's POV. Some chapters are told from Alia's POV. I liked that this story was told in third person and from both girls' POV. Diana is a complete stranger to the World of Man, though she has read many books available to her on the island. It was fun to see Diana's reactions to things like boys (she'd never seen males before), parties, fancy dresses, and so on. It was great to read from Alia's POV, since she had so much to take in, in terms of her being a Warbringer. I adored Diana from the start. She struggles to prove herself to the Amazons, and wants to be so much more. She is already an amazing warrior, but not good enough for many Amazons. In the human world, she is so kickbutt and fierce. She is powerful, fast, and fearless. Diana is a force of nature, and so determined and committed. Once she has her mind set on protecting Alia and bringing her to the spring, she never wavers from her goals. Diana needs this journey as much as Alia does, because she proves to herself that she is capable of being an Amazon. Alia is similar to the Diana, in that she wants to prove herself to people like her brother, who shield her from the world. Alia has always been in some sort of danger, but she thought it was because of her family - her parents were scientists and they were not liked for their research. Learning that she is a Warbringer is, of course, shocking, but things start to make sense. Alia is just as brave and as tough as Diana but in different ways. She may be human but she is no less fierce and stubborn. She is determined to see the world not fall apart, even if it meant her dying if they never reached the spring. The cast of secondary characters were so fun! There is Nim, Alia's best friend, who is hilarious, so creative, and an incredible friend. There is Theo, the goofy best friend of Alia's brother, and also Alia's childhood crush. There is Jason, Alia's older brother, who is overprotective of his little sister - but with good reason. Together, these five (Nim, Theo, Jason, Alia, and Diana) make a formidable team. They are all concerned with Alia's safety, and the impending war. Diana learns through them that humans are not as weak and greedy as they might seem in books. These humans are brave and resilient and selfless. Let's talk ships! There are so many great ships in this story. We learn pretty quickly that a guy named Theo is important to Alia, though we don't know if he is Alia's boyfriend or an ex or somewhere in-between. (It turns out that they've known each other for forever, and Alia likes him, and he likes Alia, but they don't know of each other's feelings). I love their slow-burn romance and quiet chemistry! Theo is a so nerdy and goofy, and Alia is so tough and determined. They are a cute pair, and I loved their interactions (even if the romance didn't fully manifest until the end). Then there is Diana and Jason, who I shipped as soon as they met (their first meeting is soooo funny). They have some intense chemistry but their romance is not at the forefront of the story - neither is Alia and Theo's, for that matter. Still, I was rooting for Diana and Jason, even if I had a feeling how the story would end. I was wrong about some things about the ending, this romance being one of them. Imagine that! I had to mention Nim, who didn't have a specific person that I could ship her with, but I adored her and her escapades. Nim is gay, though I believe it is stated that she is understanding her sexuality and might be bi. I wanted so badly to ship her with someone! The ending hints at a revived romance between another character (that I haven't mentioned), which made me happy. While I mentioning on the topic of representation, I should mention how wonderful diverse the characters are. Nim is gay as I mentioned. Alia and Jason are half-black, half-Greek, and the topic of race does come up in this book, as Diana doesn't understand why Alia and Jason would be treated differently because of the color of their skin. All of these characters felt like they belonged in this story - not like the author was trying to meet a quota. The friendships in this book are just as important, if not more important. I love how close Alia and Nim are - their friendship is so strong and positive. That is the type of best-friends relationship I love to see. I also loved how close Alia and Diana became, and in general, how close the three girls became. They are a part of a sisterhood of their own, sisters in arms, warriors in their own right. They were fierce in their own way, and they were fierce together. Did I mention that this book was incredibly feminist but not in an overwhelming, in-your-face kind of way? I didn't go in to this novel looking for it to be super feminist (if that makes sense? ), but I couldn't help but notice how subtly empowering it was. Whether it was Diana's remarks to a character, or how she led the battles, or how Alia stood up for herself... there were many obvious subtleties that made this story so empowering. I loved this. The world-building was so on point! I mentioned that I knew nothing about Wonder Woman... I didn't know about the Amazons, or Themyscira, or anything like that. Bardugo supplied enough information for me to understand the world and the backstory though. I love how much Greek mythology is involved in Wonder Woman's story! Bardugo does an amazing job of setting up both the world of Themyscira, and the modern world surrounding the Warbringer history. This book ends in a way that you won't expect! Well, I didn't see it coming. Bardugo has a way with creating villains... you just don't see them coming. Still, parts of the ending made other parts of the ending easier to accept. You kind of know how the book will end in one way, but the ending in general has a surprising twist. Remember, this is the story of Diana, before she becomes Wonder Woman! And what a fantastic story it was. Nothing specific comes to mind, which is nice! Anyone who loves a story about two fierce girls who save the world will love this book. You don't have to know a single thing about Wonder Woman - heck, I didn't! I was so confused about the whole Amazon thing, before reading this book (I'd never bothered to look up the story of Wonder Woman). 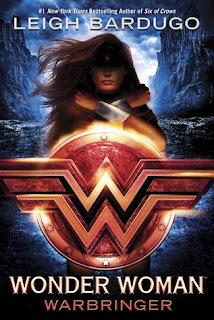 Bardugo does an amazing job of setting the scene and giving enough information so that any reader could enjoy this prequel story of Wonder Woman. 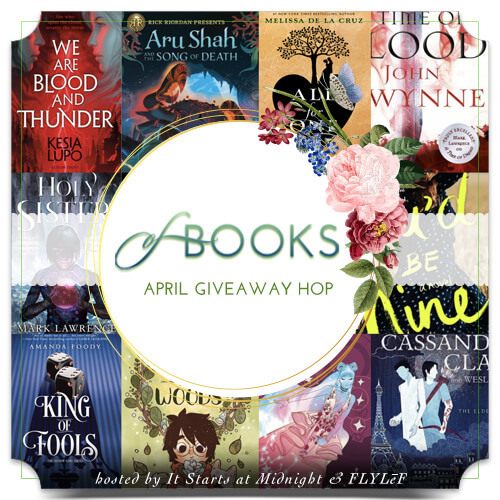 It's a fantasy story set in modern times, and I think any reader would the book, given how much genre crossover is involved. 4.5 stars. This kind of story makes a reader feel incredibly hopeful and inspired, even if it is fiction (and fantasy, at that). On some level, we are all Diana, trying to be better and prove ourselves. I can't wait to read the rest of the books in this series! YES YES YES you have utterly convinced me I need this book in my life! I am a HUGE WW fan, and I adore anything feminist (but not in the preachy way, so this sounds perfect) and I also LOVE strong friendships, especially between girls. So glad you enjoyed it, Alyssa! Yayyy!! I was so hoping that this was going to be a good one. I haven't seen too many other reviews for it yet. I love stories with strong heroines so I'm really looking forward to picking this one up. I love that it had multiple POVs too. I really enjoy reading multiple POVs. Great review, Alyssa! First I've heard of this book and I definitely want to read it. Love that the focal point is the girls friendship and working together, but glad that the Amazon culture is well developed, too. Oh my god! I'm so thrilled about this book right now. I'm pretty sure since you really liked it that I will as well. Hopefully I can get my hands on it soon once the book releases. Very cool! I have the audiobook of this one all queued up. I can't wait to see Bardugo's take on Wonder Woman! Nice review! I was wondering how this one would turn out, and I'm really glad to hear it turned out well. The characters, the relationships, and of course Diana done well- sounds fabulous. Definitely adding to my TBR. I was not that into the idea of YA books based on comics, I didn't plan to read this book, but I got an Arc, so that and the fact that you said so many good things about it made me change my mind, I'll give it a try, seems like a fun, entertaining and interesting read. Ahhh, I can't wait to read this book! I didn't see the movie, and I don't know almost anything about Wonder Woman, but this book sounds amazing. I'm so happy you enjoyed this one! I can't wait to read it (especially after watching and loving the movie). DC generally falls a little flat for me but I'm excited for this one, especially with Leigh Bardugo writing it! Yay, I'm so happy to see how much you loved Wonder Woman. This has been one of my most anticipated reads for so long. I can't wait to finally read it! I really want to read this one! It sounds great - I'm glad you enjoyed it so much. And that's great it's so empowering. 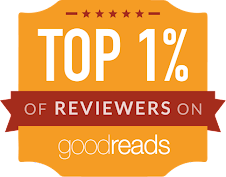 Yay amazing review Alyssa I am really looking forward for this book when it comes out. And the cover is just gorgeous. Thank you so much for the awesome post Alyssa! I cannot WAIT to read this book. TOMORROW! Although I know I'll buy it and have it sitting there for ages before I actually get to pick it up! LB, WW and a 4.5 star review from you? I need this in my life, STAT!